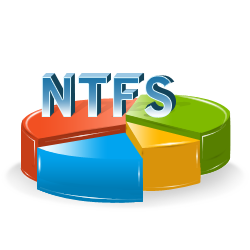 Windows NTFS Data Recovery Software recovers all deleted files and folders from NTFS partitioned hard disk drive volumes. Software completely scans entire data storage drives to restore lost data that includes song folders, video albums, official documents, photo galleries and other important files and folders. 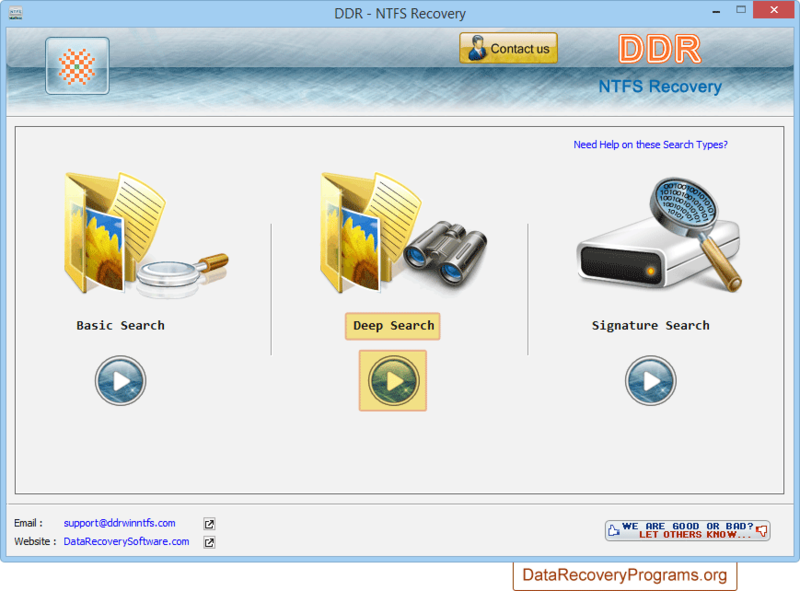 Recovers deleted video clips, audio songs, text folders and various other media files. Deeply scan, locate and safely recovers the lost hard disk data. Easily recovers lost data from corrupted boot sectors or formatted and inaccessible hard disk. Restores erased files due to Shift+Del keys or emptied Recycle Bin. Supports all standard hard disk like ATA, EIDE, SATA, IDE and SCSI. Works with major hard disk brands including Sony, Connor, HP, Fujitsu, Maxtor, Western Digital, Seagate, Samsung, Quantum and many more. Hard disk data recovery utility undelete all files lost due to software virus, human mistake, corrupted boot sectors, power failure, formatted disk and various other data loss cases. To restore lost data files, select any one searching mode among Basic Search, Deep Search and Signature Search. Select partition (from which you want to recover lost data) from left panel and click next option. Files searching process is going on. You can see the running status of recovery process. Data is recovered successfully. You can save recovered data files by 'Save Data' option.